Do you love Australian animals? Do you love cuddling soft, fluffy baby animals? Let’s assume the answer is a big resounding YES. 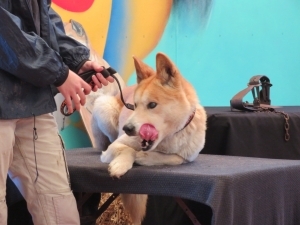 Head to the Dingo Discovery and Research Centre in Toolern Vale. 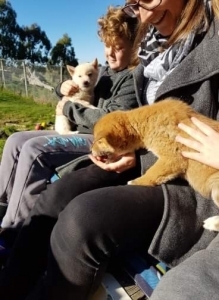 With new litters of puppies born in winter each year, the sanctuaries Open Days are a great opportunity for the passionate volunteers to share their love of these endangered animals. 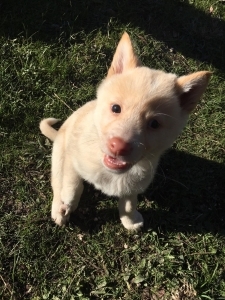 This is a unique and uplifting experience where visitors can meet, pat, feed and play with a group of dingo puppies. 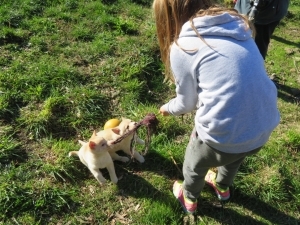 Adults and children will not only meet the exuberant and playful dingo pups but also go home as passionate advocates for a beloved Australian animal. Visiting the sanctuary is both an educational and unforgettable experience. Lyn and her volunteers share their knowledge freely, pointing out the animals’ special characteristics. They also stress the very real threats to Australian eco-systems, due to the lack of wild dingoes contributing to their natural habitat. 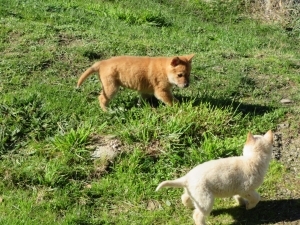 The dingoes themselves are friendly and curious, their wolf-like howls a truly memorable greeting. 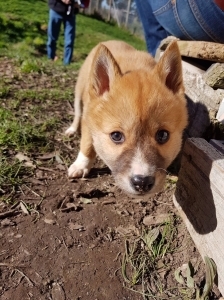 Set on 40 acres of rolling hills backing onto state forest, the sanctuary opened at Toolern Vale in 2001 and currently houses around 40 DNA-tested pure-bred dingoes. That number varies over winter as the females bear their litters. The parents rear the pups together, sharing responsibility for teaching their offspring the necessary skills to survive and thrive. This trait is just one of the things that founder Lyn Watson loves about her dingoes, who she hopes will survive long after she is gone. Lyn Watson has travelled the world as an all-breeds dog judge, but the canine that captured her heart as a child isn’t one you’ll see at shows. She recalls sneaking through gaps in the fence of the dingo enclosure at Healesville Sanctuary as a girl, mesmerised by the mysterious animals. “I would just sit there for hours – I could watch them and no-one could see that I was there,” she says. It was this fascination that compelled Lyn and her late husband Peter to co-found the Dingo Discovery Centre and Sanctuary. She is passionate in her defence of Australia’s misunderstood predator and places responsibility for their endangered status squarely at the feet of the farming lobby and governments. “Once you’ve met a dingo you’ll always love them,” Lyn says. She still judges “ordinary” dogs as time permits but concentrates on her beloved dingoes as she knows her conservation work and research has the capacity to make a difference to the species’ survival. 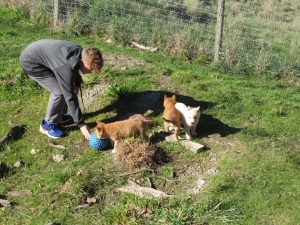 Throughout the year the Australian Dingo Sanctuary is open for tours by appointment. Open Days run on Saturdays and Sundays throughout winter each year. The current period has begun and will be running until 23rd September 2018. Bookings are essential. Children must be over 7 years old and accompanied by an adult. The sanctuary is not-for-profit and relies on community donations and support. Also welcoming dingo sponsors and volunteers. A gift shop and snack bar are available with funds going to the sanctuary. Each summer the sanctuary hosts a Fundraising Event – with live entertainment, delicious finger food, fabulous views, silent auction, games and fun overlooking the dingo paddocks, western plains and beyond to Melbourne’s bay. Follow their Facebook Page to keep up to date.